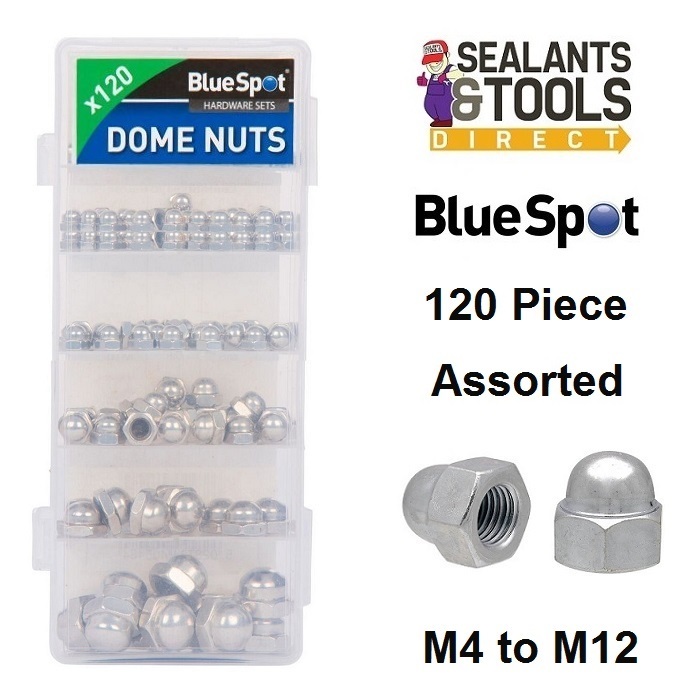 The BlueSpot 120 Piece Assorted Domed Nuts, Nut Set is ideal for use around the home and workplace. Specially designed for use on threaded bars and as caps for machine screws in architectural metalwork. Contains 120 assorted Polished domed nuts.